Stainless steel with gold and silver ion-plated finish. Black multi-level carbon fiber dial. Chronograph measurement of hours, minutes, seconds. Red continuously sweeping second hand. Chronograph offers 1/1,000-second precision over a twelve-hour time frame. Proprietary Precisionist quartz accuracy, this advanced chronograph offers 1/1,000-second precision over a twelve-hour time frame, with accuracy to within seconds a year. 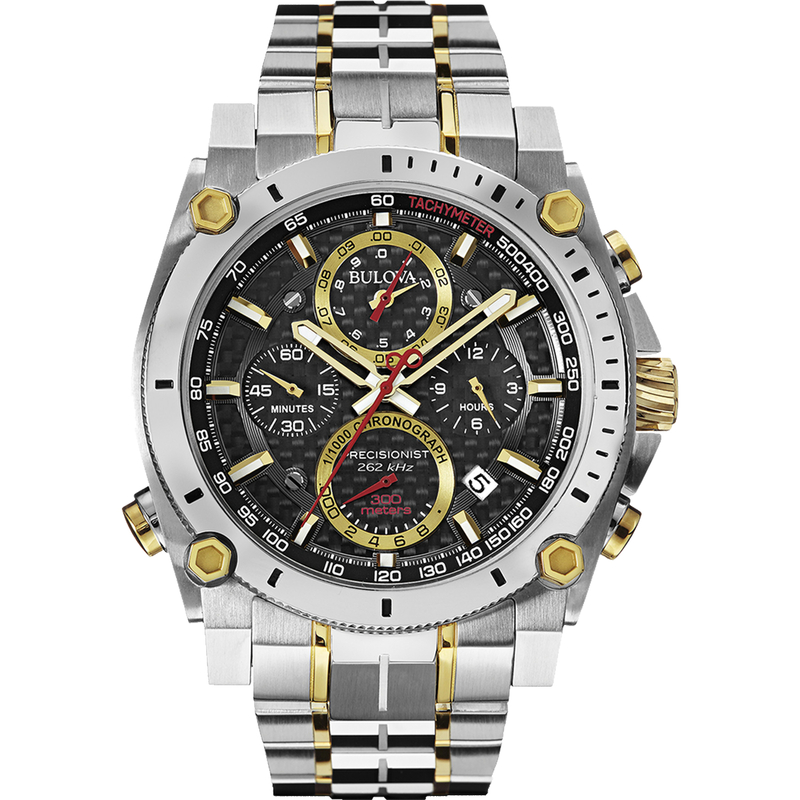 In stainless steel with gold and silver ion-plated finish, black multi-level carbon fiber dial, chronograph measurement of hours, minutes, seconds, 1/10-seconds, 1/100-seconds and 1/1,000-seconds, red sweeping 2nd hand, luminous hour/minute hands, luminous markers, calendar, screw-back case, screw-down crown, double-press fold-over clasp with safety lock, water resistance - 300 meters. Water resistance to 300 meters.